While listening to dozens of earnings calls, it becomes clear that some are better than others. 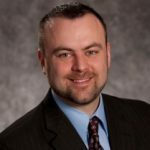 Some are precise and on point with strong candor during the Q&A period, while others seem to leave questions regarding the organization of the call… and the company. The question is whether the effectiveness of the management during these calls can be measured. Since the core objective of an earnings call is to deliver confidence to the shareholders on the direction of the company, it becomes possible to link the share price with confidence. However, it’s not simply a matter of judging whether the stock rose or fell during the course of the earnings call since other macro factors in the market could have also been having an effect. Yet, we can reasonably assume that the strongest factor in any company’s stock during the earnings call is that earnings call. To isolate the effects of the call, we compared the relative stock price change of the subject airline during their call with the relative price change of all publicly traded airlines in the U.S. at that same time. Sometimes, everything is as expected, as we saw recently during the Jetblue call. A compliment of consistency is deserved as the airline delivers no surprises during the call, explicit or implicit. Alaska saw a mostly consistent call with a slight under-performance near the end of the hour. Both Spirit and Southwest saw elevated volatility following positive announcements, while the United shareholders seemed continuously impressed during the call. Several notable airlines are missing, including Delta, American, Allegiant, Skywest, and Hawaiian. In the case of all but Delta, this is due to the airlines holding their earnings calls outside the trading windows. As for Delta, their earnings call was April 12th, which happened to be outside the available data. A round of congratulations is due United, who clearly impressed above expectations during their call. While the numbers had been released prior, the market reacted positively and consistently after about 8 minutes into the call. It’s not possible to attach a point system to grade a management team on their earnings call performance, however this method is a close approximation. If the objective is to deliver a message of confidence, it stands to reason we could measure the shareholders’ valuation of that airline each minute during the call. 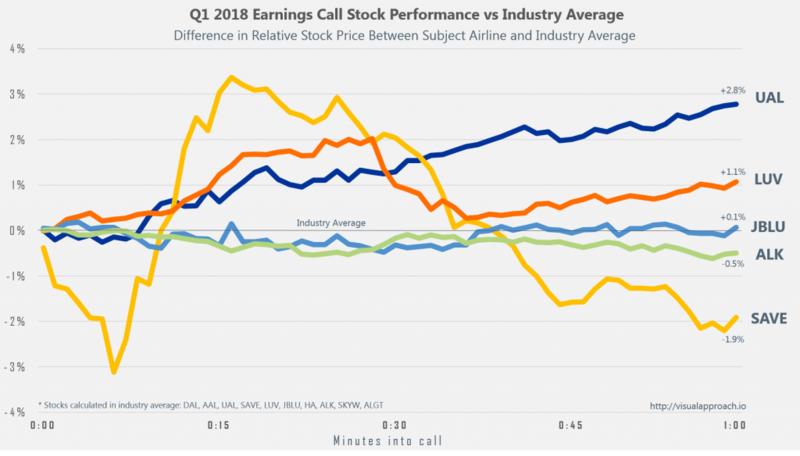 This suggests United delivered the most effective performance during their earnings call in Q1 of 2018. Ha! Thank you sir for validating my recent comments on the call in PlaneBusiness Banter!